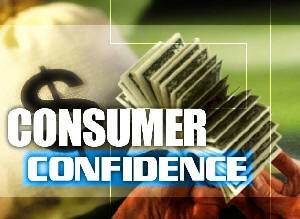 Consumer Confidence Continues Upward Trend for Summer. ABCO Federal Credit Union Supports Consumers in Central New Jersey. Consumer Confidence Continues Upward Trend for June. Consumer confidence jumped nearly 7 points from May signaling an improved economic picture and the potential for continued job growth through the fall. The Conference Board Consumer Confidence Index® now stands at 81.4 (1985=100), up from 74.3 in May. Thomas Hinton, president of the American Consumer Council (ACC), confirmed the improved attitude among consumers. “We are now seeing a slow, but steady, return to the confidence levels of 2007 that are necessary to push consumer spending to higher levels and get companies hiring more people,” Hinton told members at ACC’s annual meeting in June. The American Consumer Council was critical of mid-size and larger businesses in its mid-year report for not hiring at sufficient levels to boost GNP to real growth levels. ACC’s report stated that while this could be problematic, it was confident that most mid-size and larger businesses will launch employment campaigns to add jobs this autumn. ABCO Federal Credit Union is a federally-chartered financial institution headquartered in Rancocas, New Jersey. It was founded in 1959 as the Burlington County Teachers Federal Credit Union. Our first "deposit" was $1.50 and we even had to borrow $52 to buy our bookkeeping books and a hand-cranked adding machine. Our first members had to come to our garage to make deposits and take out loans. Family members can also join and use all ABCO services. Also, more and more businesses are offering ABCO membership as a benefit. ABCO membership is for life – even if a member moves or changes jobs – once a member, always a member! Join now! The American Consumer Council and the New Jersey Consumer Council are pleased to recognize XCEL Federal Credit Union as a Sponsoring Member. XCEL is a New Jersey-headquartered, not-for-profit, and member-owned financial institution. We are federally insured and we have been competently serving our members since 1964. We are rated 4 Stars by Bauer Financial – an independent financial institution rating service. 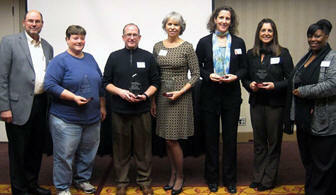 American Consumer Council members and their immediate family members. Outstanding rates on vehicle, home equity, and mortgage loans. No minimum balance checking and savings. Attractive rates on money markets and certificates. See our complete product and rate listings at www.XCELfcu.org. We are members of a network with 28,000 surcharge-free ATMs and 4,440 shared branch service centers across the USA. New, pre-owned or refinanced vehicle rates as low as 2.84% APR* for 36 months. 60-Month Certificate - 2.15% APY* $500 minimum (penalty for early withdrawal). Federally-insured. Other rates and terms available. Rates quoted include the special bonus and discount offers and are subject to change without notice. Your American Consumer Council exclusive contact is: Mr. Ray de Quintal at 800-284-8663, ext. 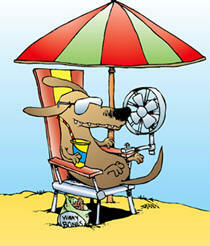 3040 or 201-546-2928 (cell) or email raydequintal@xcelfcu.org. XCEL Federal Credit Union is federally insured, regulated, and examined annually by both the federal government and an independent CPA firm. Each member’s deposits are insured to the $250,000 maximum allowable limit by the National Credit Union Administration (NCUA), which is backed by the full faith and credit of the U.S. government. 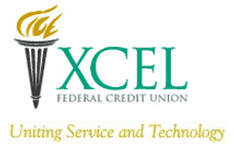 At XCEL Federal Credit Union, it is our mission to provide a unique combination of cutting-edge technology – to simplify your busy life, and friendly, personal service – to make you feel right at home! Our Mission Statement: To be the primary financial institution for members by providing the highest quality affordable products and services, delivered with honesty and integrity in a convenient and secure manner for generations to come. Members can also take advantage of a full array of loans including real estate, business and new and used car loans. There are also many types of credit cards available. Scroll down the page to see our full report for Xcel FCU including charts to show their 10 year performance for growth, membership, total assets and number of branches. We also show their rates for certain loans and interest rates for certain savings certificates taken from their quarterly reports required by the NCUA (National Credit Union Association). As a member of the American Consumer Council, you’re eligible to join XCEL Federal Credit Union. To see if you qualify to join, contact XCEL by phone at 800-284-8663, ext. 3040 or 201-546-2928 (cell) or email raydequintal@xcelfcu.org.